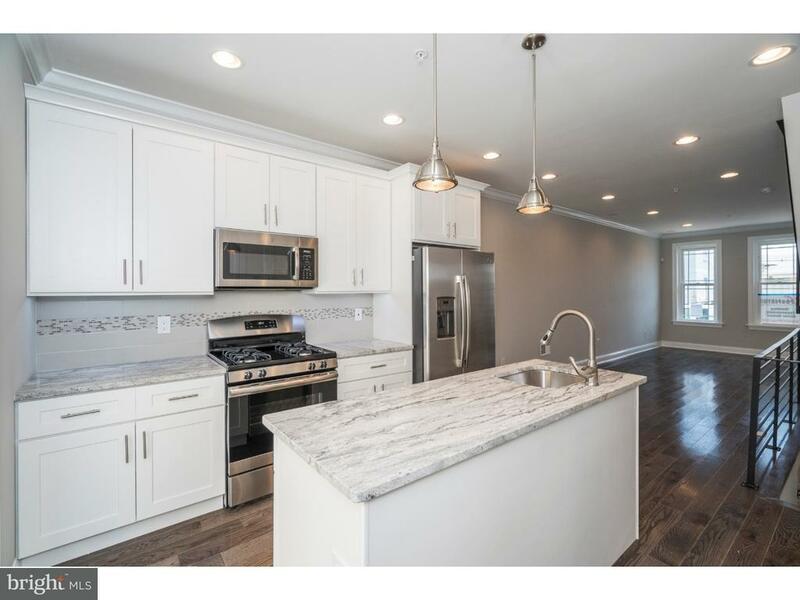 Found on a quaint residential street in Port Richmond, enter 3356 Agate Street and discover desirable details throughout, including hardwood flooring, recessed lighting, large windows and a sliding glass door in the kitchen for plenty of natural light. The home features a large living room with built in speakers and an open dining room showcasing any furniture arrangement to suit your taste. Continue into the newly designed kitchen, complete with granite counters, stainless steel appliances, tiled backsplash and three sets of kitchen cabinets for plenty of preparation space with access through sliding doors to a concrete rear yard, perfect for lounging on sunny days! The second floor features two light filled bedrooms with ample closet space, and a full tiled bath with tub and shower. The third floor reveals a fabulous master suite with walk in closet, trey ceiling with ambiance rope lighting, a full bath with stall shower with a frameless glass enclosure. Be sure to stop by the 3rd floors wet bar before heading up to the full sized roofdeck with built in speakers and tons of builtin lighting, just the spot to sit back and admire the fantastic view. Still not enough room for you? Check out the full finished basement, with full tiled bath for your comfort & convenience. With a 10 year tax abatement, this is one you definitely dont want to miss!